It is true that elements of VA have gamed the measurement that was supposed to measure success in dealing with the increased load: wait times for new appointments. Obviously, it is a complex situation involving a complex program under the stress of increased demand. What the situation needs is a thorough review, creative thinking, more money, more money and more money. Instead, when the situation became public, the conservatives demonized Eric Shinseki: the question was reduced to whether he would be fired. That the conservatives didn't like Shinseki because of his warnings on the Iraq war a decade ago predisposed them to cast him as the villain. Instead of looking more broadly to find the interrelationships between funding, physician recruitment, increased eligibility, computer systems, the impulse was to look more narrowly. Now much of the talk centered on more neutral sounding concepts like "accountability", which fancy talk for scapegoating. The immaturity of our political reporting is that once the scapegoating starts, it takes over the whole dialogue. Soon, the pressure is great that the person resigns rather than "be a distraction." Things do not go badly because individual people are incompetent, or have evil intentions. Most of the situations we face are complex interconnected systems which need systemic analysis and systemic problem solving. Wedded as they are, theologically and psychologically, to crime/punishment, good/evil, perfection/corruption narratives, conservatives cannot stop themselves from looking for someone to blame for everything that doesn't go well. Stalin opined at the heights of the purges that since the victory of socialism was inevitable, everything that went wrong must have been the result of sabotage. The conservatives differ only in degree: Since America is the greatest country on Earth, God's gift to humankind, the fact that there are persistent social problem must mean that somebody has an unGodly intention. Take your pick: the government, Democrats, minorities, poor people. Finding them and dealing with them strictly is the logical answer for them. Religious liberalism opposes such demonization. Our mission is to re-humanize the culture. When someone is being demonized, we remind people of his worth and dignity. 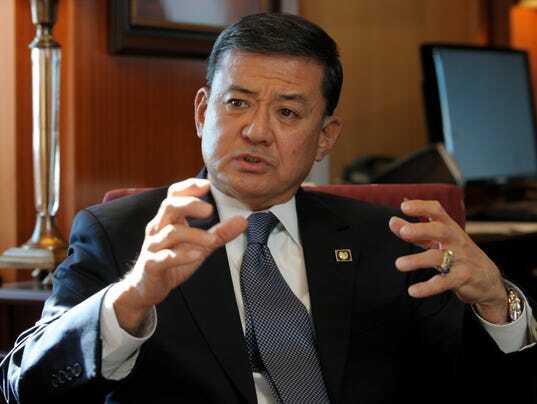 Eric Shinseki is a hardworking guy, who is probably doing the best he can. All of us deserve that benefit of the doubt. But we also fight back against the demonization because things are never just that simple. We know that everything is interconnected and interdependent and deserves our study before our judgement. 1. Requiring subordinates to report numerical results will lead them to produce better results. 2. Requiring subordinates to report numerical results will lead them to report better results. The same could be said of the recent ouster of MA DCF Commissioner Olga Roche. In reading your post I was easily able to replace "Shinseki" with "Roche." However, I am not sure that conservatives hold a monopoly on demonizing. Let's be honest, Harry Reid has been demonizing the Koch brothers, and good job too because they are genuinely demonic. When people feel threatened at an existential level by the fundamental values of someone else- as liberals and conservatives mutually feel in the highly polarized current state of our polity- that's an inevitable response. 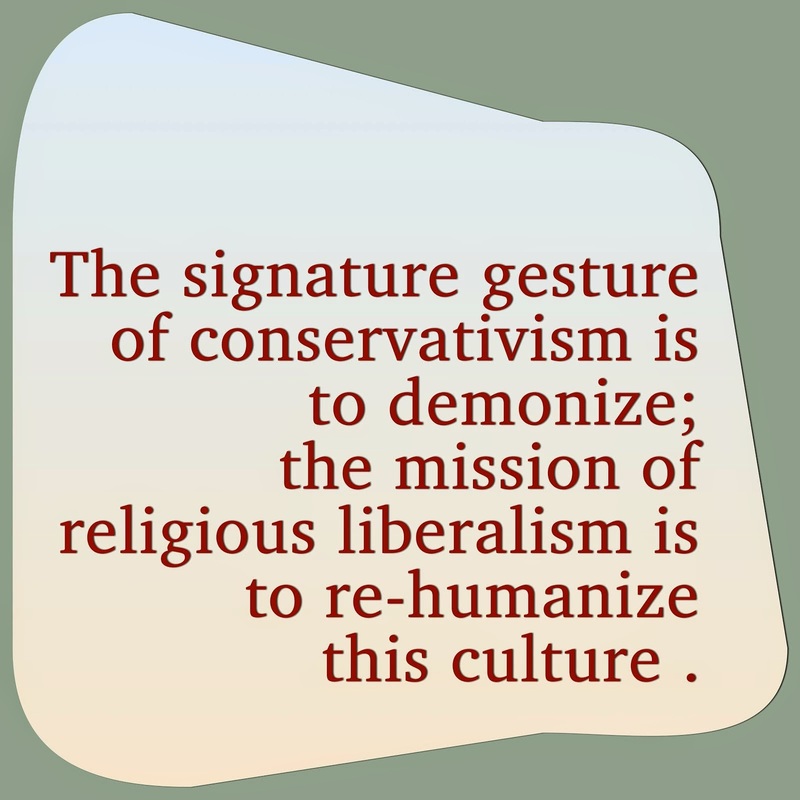 The problem with liberals, as Rev. Schade has so eloquently described in so many posts, is that too many of us couldn't take the heat and went into a defensive crouch. The solution is obvious and lies entirely within ourselves.